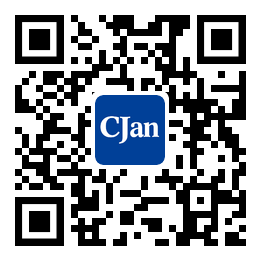 In the cosmetics industry, CJan company provides high temperature and cleanliness products, services in several cosmetics manufacturers and the industry has been highly recognized. We are happy and proud that our success is not based on only total manufacturing know-how and daily innovation, but also the strictest inspection in every production phase. With such successful experience, we bring our hose and fittings products with the following befits to share with clients: more safety, lower cost, higher quality, long service life and better efficiency. PFA lined tri-clamp hose fittingFitting standard: 3A.FEP or PTFE liners are available.Virgin and anti-static liners are available.Remark: Can be customized. TYPE GF - Glass Fiber Braid Reinforced Silicone Hose. Type GF is manufactured from High purity platinum cured Silicone with glass fiber reinforcement. Type SQ is manufactured from High purity platinum cured Silicone with single stainless steel helix and 4 layers of polyester reinforcement. Type PF is manufactured from High purity platinum cured Silicone with polyester fiber reinforcement. TYPE SP4 Layer Polyester Reinforced Silicone Hose. Type SP is manufactured from High purity platinum cured Silicone with 4 layer polyester reinforcement.